MATNET Pvc Coated Barbed wire is corrosive resistant and weather resistant. 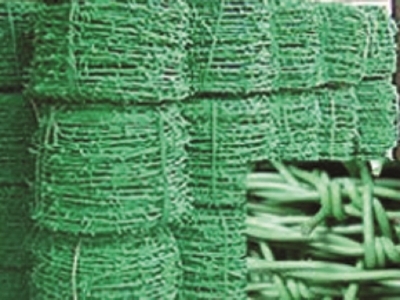 MATNET Pvc Coated Barbed wire is one of the most economic and long lasting fencing protective materials, mainly used for security in military, jail, industry, farm, railway, airport, compound wall etc. Pvc coated Barbed Wire : 12x14 guage.